Matthew’s Daughter is the second book of a Cornish Saga that began with Francis Lindsey’s story And All Shall Be Well. Now we follow Caroline Penrose after her return from the war to Trewlyns, her father’s flower farm in Cornwall, where she hopes to find the peace and quiet to rebuild her life after the death of her Polish airman lover. But shortly after her arrival home she becomes aware of an atmosphere of secrecy and intrigue between her father Matthew, Grace Brendon his housekeeper, and Caroline’s best friend Jennie, daughter of the rector Paul Tremaine. Confronting what she sees as a conspiracy of silence the headstrong Caroline only succeeds in opening doors onto some even deeper and more complicated secrets. An ill-advised love affair with a randy vet, a reclusive enigmatic Frenchman who could be friend or foe, a journey across foreign fields in search of a missing mother and child and a subsequent involvement with old school friend Elizabeth Pascoe and her charming but dangerous-to-know lover Francis Lindsey, bring still more revelations for Caroline. 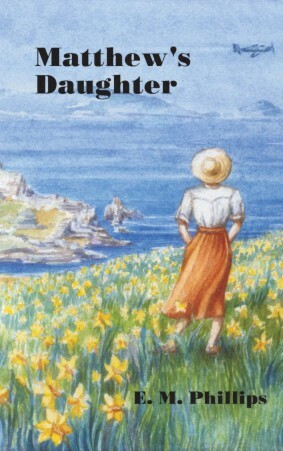 Some joyous, some tragic, some deeply moving; all of them to be confronted and resolved before Matthew’s daughter can face her own bright future with her own particular man. If you looked carefully at those Newsreels taken outside the Admiralty in Whitehall on VE day, and if your eyesight is very good, you might have noticed on the third lamp post down from Big Ben myself in WAAF uniform accompanied by a Canadian pilot, both of us perched on the crosspiece below the lantern. Not conduct becoming an officer and gentlewoman but who cared, the war, or at least my part in it, was almost over. I can't speak for the Canadian pilot because I never saw him again, nor needed to. For an hour or so, perched high above cheering, dancing crowds, to each other we were just Caro and Jake; two of the thousands of lunatics celebrating after five long years of war. Four months later I called another woman ma'am for the last time, dumped my uniform into the bottom of my suitcase and sallied forth to begin life over again; ex-Squadron Officer Caroline Penrose, twenty-three; unattached (for longer than was comfortable and through no fault of my own), and with little faith or immediate wish that Fate might be about to dish up a second chance. The battered but functional old Standard, purchased for a tenner from a USAAF medic leaving for Texas, carried me on the long road to the West Country, to Trewlyn's and the flower meadows high on the cliffs above Penmarrion Cove. I sang as I drove, loudly if not always tunefully. Cheerful songs, vulgar songs and some downright dirty songs, but somewhere along the way they turned into a haunting Auld Lang Syne, played in slow waltz time and danced to on the wooden floor of an Air Force mess, with Stefan's arms about me and the certainty of parting in the dull light of morning. The smile I had loved, the beautiful voice, the body still ached for, all gone in a few brief moments, in a thousand fragments falling from the sky over a Normandy beach. Nothing left. Not even a grave to sit beside. But I knew there was no answer to my question, no magic wand to wave and bring him back. I drove on into the September day, grateful for the old familiar lift of the heart as I headed for Penzance and the coast road to Penmarrion and home.